Becoming a Walmart vendor and winning an order can be a great thing for any business owner. Walmart is one of the biggest companies in the world and is known for placing large orders. If serviced strategically, Walmart is the type of client that can really help your business grow to new levels. However, large orders can be a double-edged sword. They can stretch your financial resources and leave you unable to service other clients. Or worse, they can drain your resources completely, leaving you unable to pay your own suppliers or employees. Winning the large order is only half the game. You must be prepared to deliver the order and handle all the financial aspects related to it. In this article, we discuss sound financing tools that can help you finance large orders. Let’s start by looking at the differences between product sales and service sales. 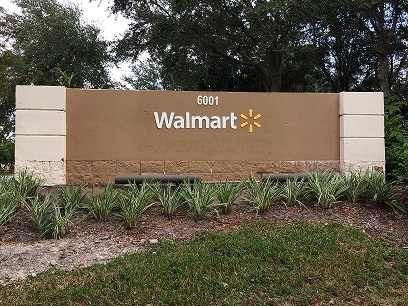 Walmart suppliers are usually divided into two categories – companies that sell products and companies that sell services. These two categories often have different financing challenges requiring different solutions. Most companies that sell products to Walmart usually sell items that are sold at the actual retail locations. In most cases, Walmart places a recurring order that needs to be fulfilled regularly. And if the product sells well, the company may get larger orders – and that is where the problem lies. Unless your company is well capitalized, you may not have the resources to pay your own vendors. Companies that sell products often need funding to pay suppliers so that they can fulfill large purchase orders. On the other hand, there are companies that sell services to Walmart. Usually, these companies are selling services that are used by the corporation as part of operations. For example, services can include companies that handle janitorial work, pave parking lots, and so on. The problem in this case is that the retailer may take 30 to 60 days to pay your invoices. This delay can create financial problems for companies that cannot afford to wait for payment. Companies that sell services often need financing so that they can pay business expenses while waiting for an invoice to pay. Walmart payment terms vary by supplier. However, Walmart is no different from other large retailers. Most large retailers are known for paying invoices in 30 to 90 days. Large companies operate this way during the course of their normal business. Unless your service or product is strategic to the client, there is usually little that you can do to alter these terms. Large companies like buying on terms because it is good for their finances. In effect, it is like getting short-term, interest-free credit from their vendors. However, these terms can create a large financial problem for you if you are not properly prepared. If you sell products, you will have to deal with a large order and a net 30- to net 60-day payment. Assuming 60 days for manufacturing and shipping, it could be 120 days (or more) before you see a payment. Meanwhile, you still need to pay your business expenses. The problem is similar if you sell services. You still need funds to pay your business expenses while waiting for your invoices to be paid. This is why getting supply chain financing is crucial. Supplier financing can provide your company with the financial resources necessary to better position the company to succeed as the supplier of a large retailer. Five financing options can help Walmart suppliers. Purchase order financing (option B) is specific to companies that sell products. Invoice factoring, asset-based loans, and lines of credit (options A, D, and E, respectively) can be used by companies that sell either products or services. Also, these options are listed from easiest-to-secure to most-difficult-to-secure. Factoring invoices can help suppliers that sell products or services to Walmart but can’t afford to wait 30 to 90 days to get paid. This solution provides immediate financing for your accounts receivable (unpaid invoices), which gives you the funds you need to pay suppliers and other expenses. Invoices are financed in two installments. Your company gets 85% of the invoice value after the invoice is submitted and approved by Walmart. Your company gets the remaining 15%, less a fee, after the invoice is paid in full. Learn more about invoice factoring and how it works. The transaction is relatively simple. The finance company pays your vendor, usually via a letter of credit. Once they have the letter of credit, your vendor manufactures and delivers the goods according to your schedule. The transaction settles once your customer (Walmart) pays the invoice in full on their usual terms. Learn more about purchase order financing and how it works. Transactions are relatively simple. The supply finance company acts as an intermediary supplier that offers you trade credit. When you need to make a purchase, you place the order with the finance company. The finance company places a corresponding order with your supplier. The supplier handles delivery of the product, while the finance company handles their payment. Lastly, the finance company issues an invoice to you, which you pay once it matures. Learn about supplier financing and how it works. Asset-based loans can provide financing to companies that have outgrown their factoring lines but cannot qualify for a line of credit. The financing structure depends on what assets are being financed. Lines backed by accounts receivable or inventory often use a structure similar to that of a line of credit. Lines backed by equipment (or other similar assets) often use a structure that resembles a term loan. Learn more about asset-based financing. Lines of credit provide a flexible way to finance your business. They can be used to pay suppliers, meet payroll, and cover most business expenses. They operate much like a credit card. Lines have a limit, and your company is allowed to draw funds against that limit as needed. When required, you can make payments, which increases your funds availability. Two limitations to keep in mind are that lines of credit are hard to obtain and have inflexible limits. The requirements to qualify for a business line of credit include having a track record of sales, having ample collateral, and having solid financial indicators. And once you get a line, the limit is likely to stay in place for a while. If you want to increase the credit limit, part of the line must go through underwriting again (which takes time). Consequently, business lines of credit are best for mature companies that have stable sales. Learn more about business lines of credit. One thing to remember is that many retailers have a guaranteed sale clause in their contract. Don’t let the name of the clause fool you. This clause allows the retailer to return any unsold product to you in order to get a refund. Unfortunately, this clause can prevent you from getting funding. Your best alternative is to negotiate a solution that limits the amount of returns that your customer can make. There are several ways to do this, and you have to find that one that works for both you and your client. Please note that we are NOT associated with Walmart in any way whatsoever. This information is provided for informational purposes only and should not be considered as legal or financial advice. Consult an expert if you are looking for advice specific to your situation.